Why is the Matchstick Banksia so important? 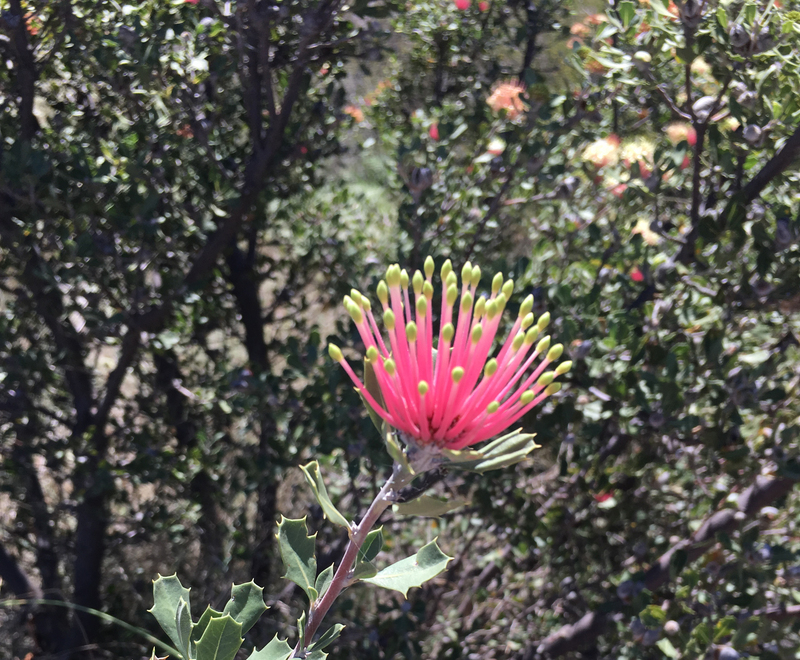 We’re still on the lookout for populations of the Matchstick Banksia as well as areas of suitable habitat! So if you have seen this unique and distinctive plant, or are located within the Shires of Quairading, Brookton, Cuballing or Narrogin and have areas in your shrub land with grey, yellow or yellow/brown sands, we would like to hear from you! Please contact Anika Dent at adent@wheatbeltnrm.og.au or on 9670 3104 to have a chat. The Matchstick Banksia is listed as Endangered under the EPBC Act due to its small and fragmented populations. Information regarding the EPBC Act and the Matchstick Banksia Interim Recovery Plan can be found by following the links below. With fewer than 2,500 mature plants in the wild, the remaining Matchstick Banksia populations are severely fragmented and continuing to decline in size. These features significantly threaten the ongoing survival of wild populations and are why the Matchstick Banksia is listed as Endangered under the EPBC Act. By supporting landholders to manage processes threatening the Matchstick Banksia, including weed invasion, rabbit and parrot damage, we will improve the future of this endangered species. The EPBC Act is the Environment Protection and Biodiversity Conservation Act 1999, which is the Australian Government’s central piece of environmental legislation. It provides a legal framework to protect and manage nationally and internationally important flora, fauna, ecological communities and heritage places. The EPBC Act provides for the listing of nationally threatened native species and ecological communities, native migratory species and marine species. The Matchstick Banksia is listed as endangered under the EPBC Act. It falls under criterion C, small population size and decline, due to there being less than 2500 mature individuals in the wild, severe fragmentation of populations and populations showing a continuing decline. The listing of the Matchstick Banksia in July 2000 prompted the preparation and implementation of an Interim Recovery Plan (IRP). This plan outlines the recovery actions that are required to urgently address the threatening processes most affecting the ongoing survival of the species, and begin the recovery process. Our project to protect the Matchstick Banksia is based off the management actions detailed in the IRP, focusing on actions to mediate the threats caused by weed invasion, rabbit activity, parrot damage, the lack of natural recruitment and disease.